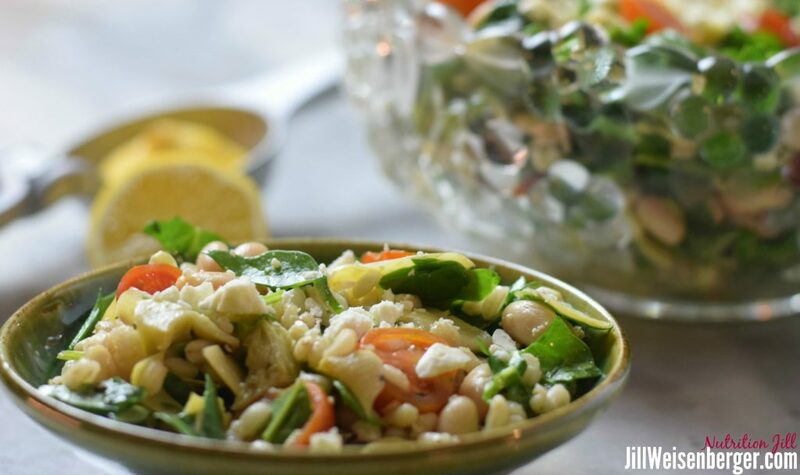 Barley salad is perfect for the warmer weather! And this tasty recipe is good for the heart and good for your blood sugar. Basically, that means that it’s good for all of us and especially for people with diabetes or prediabetes. Beans and barley both top my list of foods for blood sugar and cholesterol management. And here’s why. Studies show that eating beans and other legumes is good for fasting blood sugar in both the short-term and the long-term. Not only are legumes full of plant protein, they also contain the blood pressure-friendly minerals potassium and magnesium. Plus they have B vitamins and dietary fiber, including a special type called resistant starch. When our gut bacteria get hold of resistant starch, they produce compounds that improve the way we use insulin. Barley contains another important type of fiber. This one is beta-glucan, a soluble fiber which improves insulin action and lowers blood sugar levels. It also lowers blood cholesterol levels by sweeping cholesterol from your digestive tract. Want to know how to get the other types of fiber that we need? Check out What You Need to Know about High-Fiber Foods. 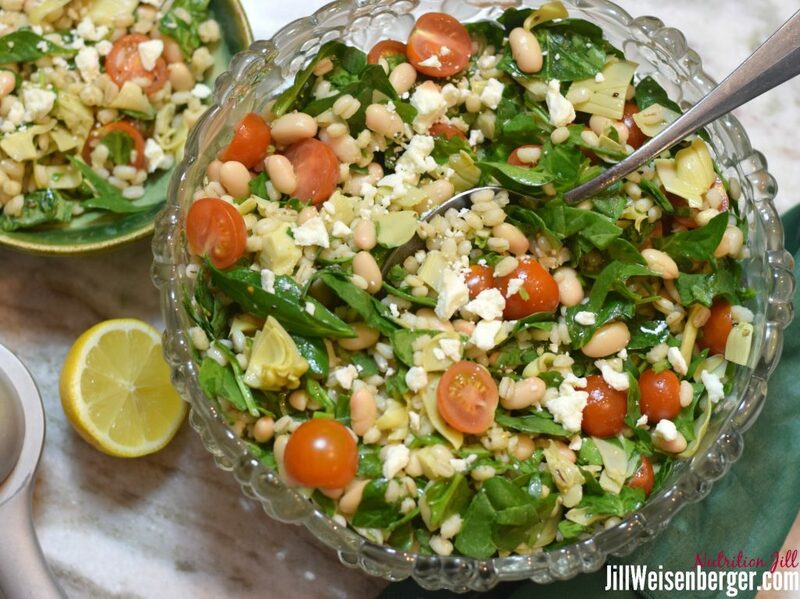 A slightly different version of this bean and barley salad first appeared in Diabetes Weight Loss – Week by Week, my first book. I’ve made minor changes in this one, including shrinking the portion size. Feel free, however, to serve up a larger portion as a main dish salad. In a large bowl, mix together the cooked barley, spinach, artichoke hearts, tomatoes, and beans. In a small bowl, mix together the oil, lemon juice, garlic and pepper. Pour the dressing over the barley, beans and vegetables and mix well. Chill several hours. Before serving, sprinkle with the feta cheese and mix gently. Variation: Feel free to add any vegetable you like. Shredded carrots are very pretty in this dish. Do you have a favorite way to usher in the warmer weather? Let us know! Cheers to a delicious, happy spring and summer!